Today I have a review on another crème based product. 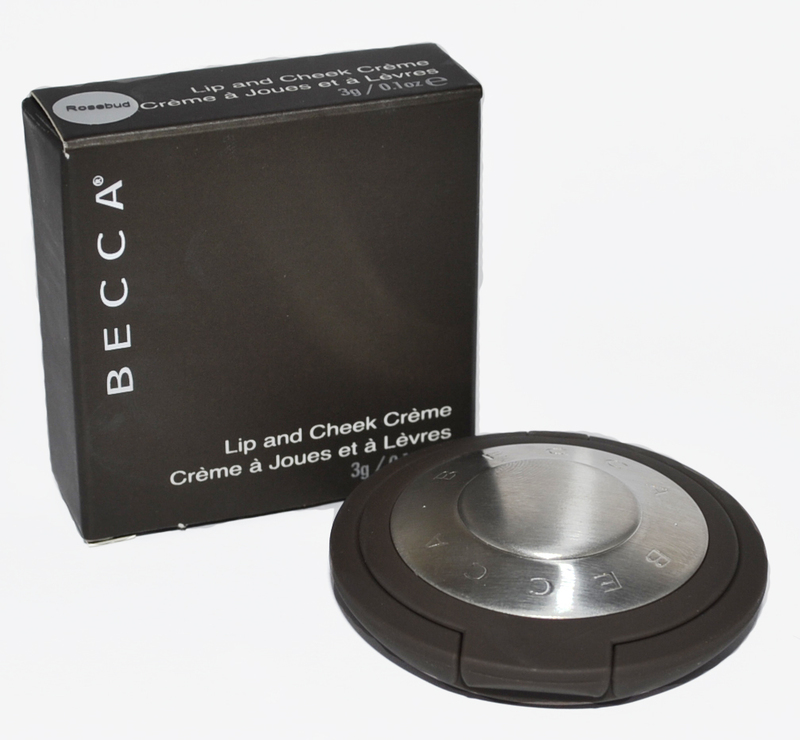 This time it's a lip & cheek crème from Becca, an Aussie owned cosmetic icon founded by make-up artist Rebecca Morrice. Becca aims to create flawless natural looks for every women regardless of their age or ethnicity - from the fairest to the darkest complexions and impressively carries 34 concealer and 30 foundation shades in its line up to match every skin colour! I tried my first Becca lip & cheek crème over a year ago and have been a fan of them ever since. The first thing you'll notice when you see these is how small in size they are, the compact is about double the size of a 20-cent piece and doesn't look like there's much content inside. The mirrored compact is encased in a brown rubberised exterior with a stainless steel disc with the Becca name imprinted on it. A dense creamy texture and highly pigmented, each swipe is quite strong in colour. You really need to dot very sparingly if using fingers on brighter colours to avoid looking too flushed. Thankfully they are incredibly easy to blend so even if you do end up with too much colour, it can easily be toned down. 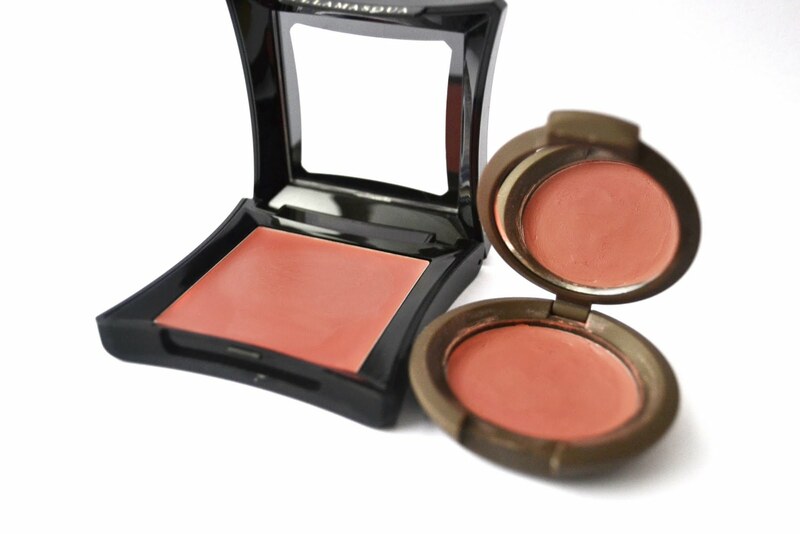 Has a smooth creamy consistency and is easy blending - a must if cream blushes are to give natural finishes. 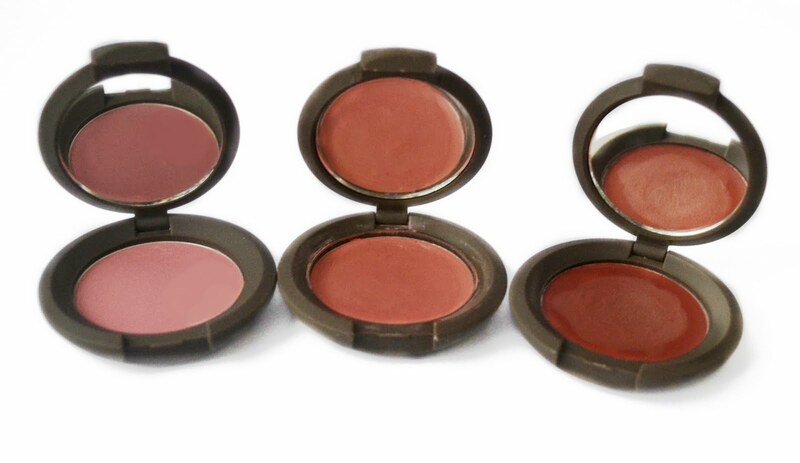 And these one tick all the boxes as it achieve looks just like you own natural flush because there is no sheen or shimmer in the finish, just beautiful flattering colour. I love using a synthetic cheek brush (MAC 192 cheek brush which is very similar to a large concealer brush) to apply this to cheeks because it's even easier to blend the product into skin. Lasting-power wise, they easily survived the 8-hour day and more. I have to admit these beat Illamasqua by a couple of hours. 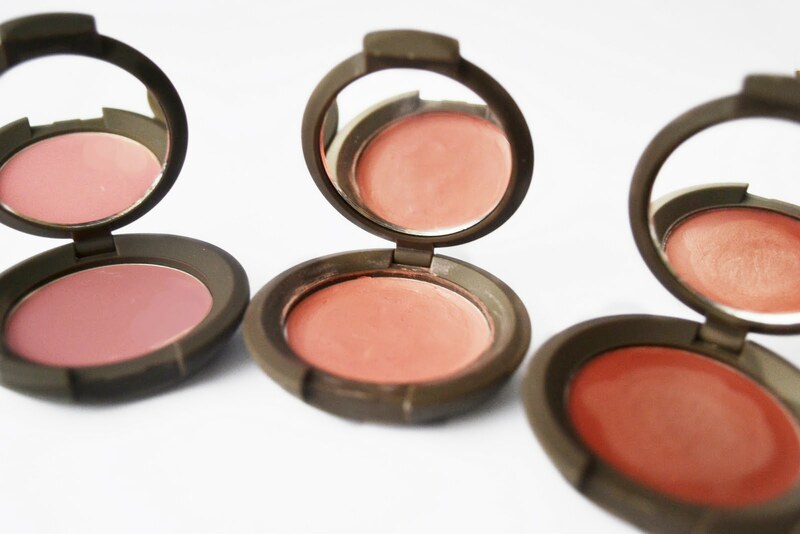 My cheeks still look flushed and freshly applied even at night so those who find cream blushes doing the disappearing act will love these becca blushes. As a lip tint, I found the creamy formula quite sheer on my brownish tone lips and shows up my dry bits as well as drying them out after an hour. Besides, it seems quite wasteful to use what little bit of it (only 3g of goodness here in each compact) as a lip product as you use more per application for lips than cheeks. Rosebud is a soft ballet pink. It reminds me of the budding cherry blossom flowers that are starting to bloom on the streets as we head into spring. This looks like a natural flush of pink on fairer skin and gives just a slight hint of colour for warmer complexions for the barely there look. Tuberose is my favourite shade of the three and I wore it everyday for almost a month last summer. It is a coral pink shade that is universally flattering on all skin tones. Geranium is a rich brick red shade. Scary on the pan and it can be too bright on cheeks on fairer skins so only dab the tiniest amount for use as a little goes a long way. This shows up well on the deepest skintone and on me, looks like I'm flushed with fever if I'm not light-handed enough. 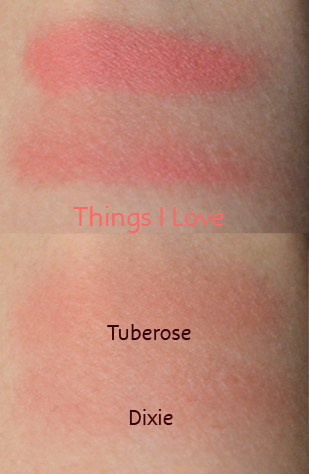 Tuberose immediately reminds me of Illamasquas Dixie and so I decided to do a side-by-side comparison below. In the pan they look very similar save for the difference in texture. 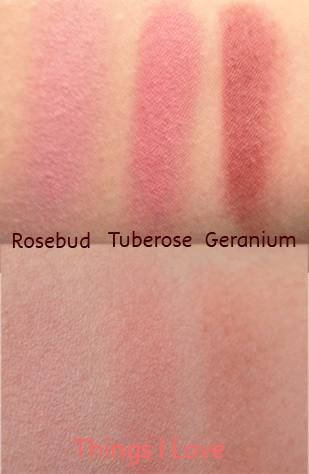 When swatched you can see that Dixie is sheerer due to the gel finish with a slight sheen, and tuberose has a more pink base. But when worn on the face, one could be mistaken as they are very similar in shade and tone once blended out. Becca's lip & cheek crème is a real winner as a cheek product but is no dice as a lip colour - they should be renamed to just cheek crèmes as the formula is amazing on cheeks and one of the best I've ever tried. 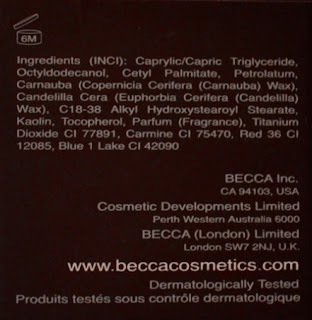 Have you tried any products from Becca before? What are your favourites? RRP A$46 at selected David Jones stores, selected chemists and AdoreBeauty online. Check here for your nearest stocklist. 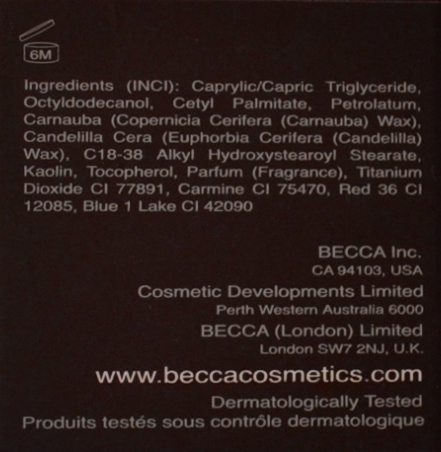 If you are in Melbourne, Zuza in Melbourne Central currently have 50% off all their Becca products so pick them up for a steal. awww 50% off becca! i wish we had this in sydney. i like tuberose! @lily Tuberose is a all time classic coral pink shade that would look good on anyone!